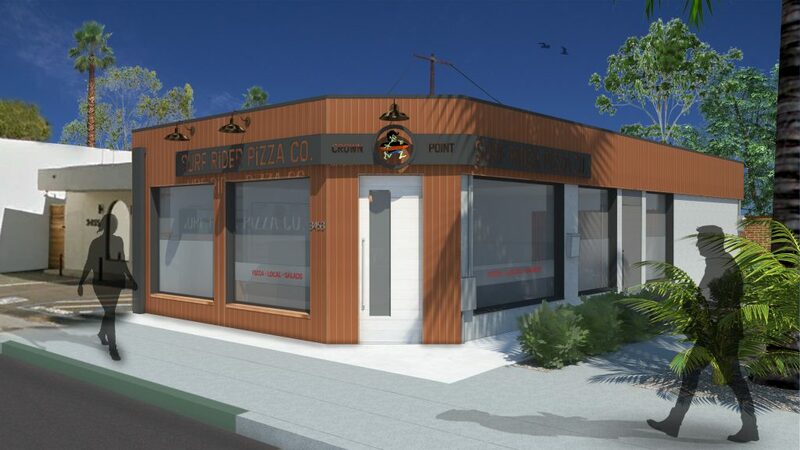 Surf Rider Pizza Co. first opened it’s doors in Ocean Beach as an East Coast-style pizza restaurant paying tribute to the West Coast surf culture. 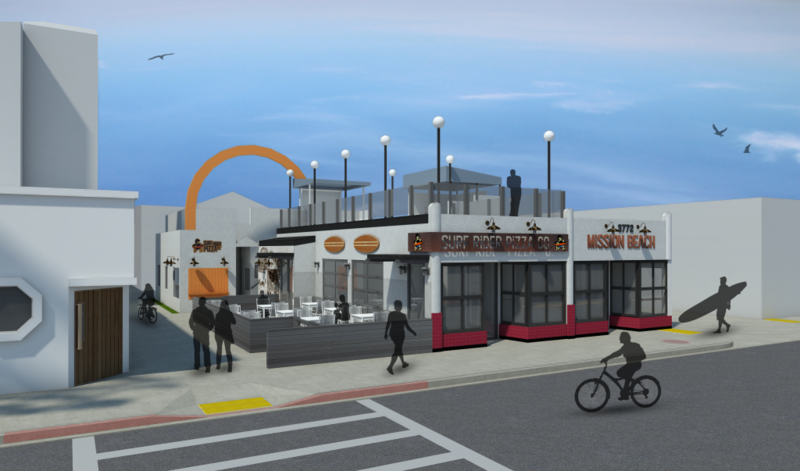 We’ve had the privilege to help them expand their empire into destination areas, old and new, such as downtown La Mesa, surf side Mission Beach and Crown Point. All renders produced by T7 Architecture, Inc. for the client.